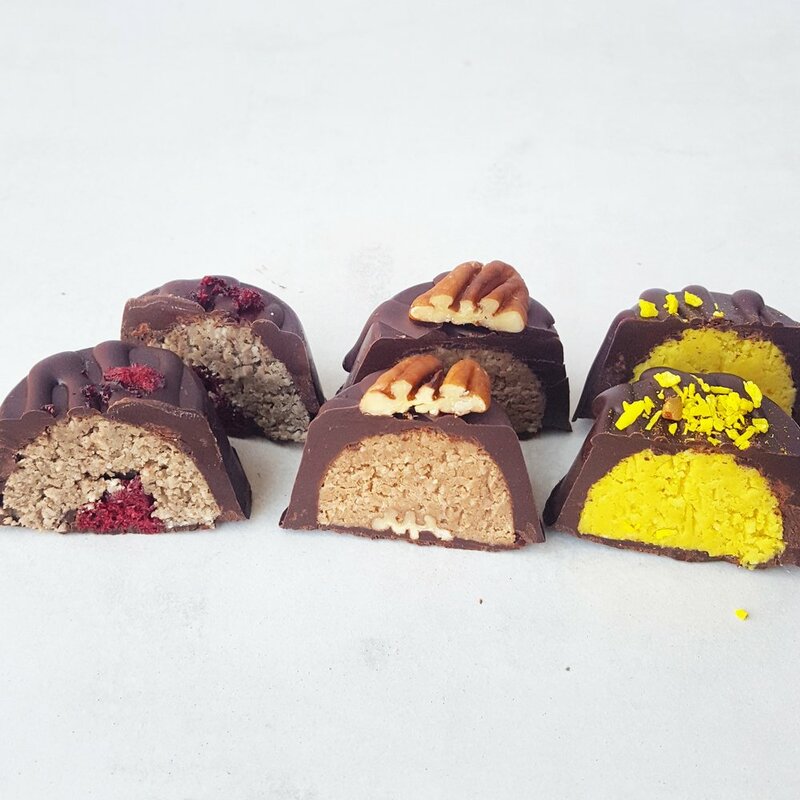 Now offering a variety of superfood chocolate truffles and chocolate of the month! Enrobed with dark cacao sweetened with coconut sugar, and boosted with medicinal ingredients to make a treat with benefits! Check out our gallery of raw vegan cheezecakes! 3 flavor packed filled dark chocolate cups sweetened with monk fruit, for a sugar free treat! Follow Us on Instagram to see what we are creating!